10Kg of "Superior Aged" Basmati Rice for £8. In store and online. Bought from ASDA Charlton. Disappointed, thought it said badass basmati rice. Whats the quality / taste like? 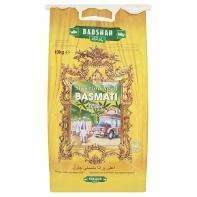 The product above (Apna Basmati) is NOT all basmati. It is a "fusion" containing a majority of cheap long grain rice, and some basmati.